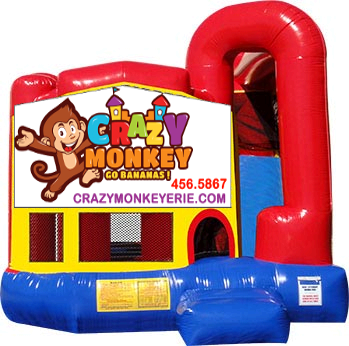 The Crazy Monkey Combo will bring lots of fun to your party or event with a large bouncing area, a basketball hoop, climbing ladder and slide. It will keep the kids occupied longer with more activites to do. It has bright colors and safety nets on all sides for easy viewing of the fun.